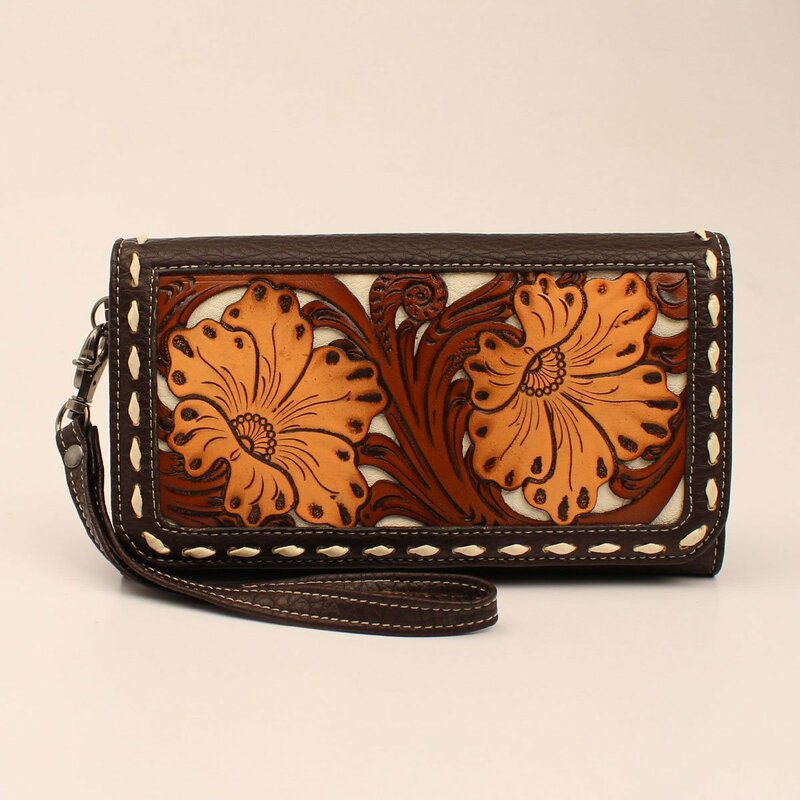 The interior has plenty of space for a checkbook, 15 card slots, a cash pocket, and an ID Window. The exterior has a zip-close pocket for receipts or papers. This women's accessory includes a removable hand strap so you can store it in your purse or carry it as a handbag.